While the New Year may be time for resolutions, it is also just a great time to reset your life and remember what’s good. 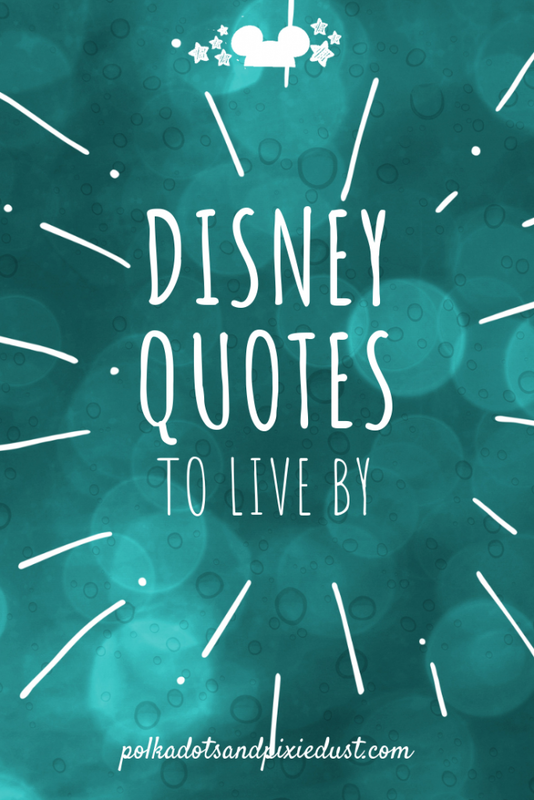 These Disney Quotes to Live By will by far tug a heart string, mind string or even a just a nerve. Either way, you’ll get something from each quote that you undoubtedly needed. Insight, inspiration, guidance, all the feels. Whether you want them or not! See the collection we pulled together this year of things to live by and remember. See which ones feel best to you! What things are you trying to achieve? Trying to follow through? Or rather, maybe there is something you need to let go to get ahead? 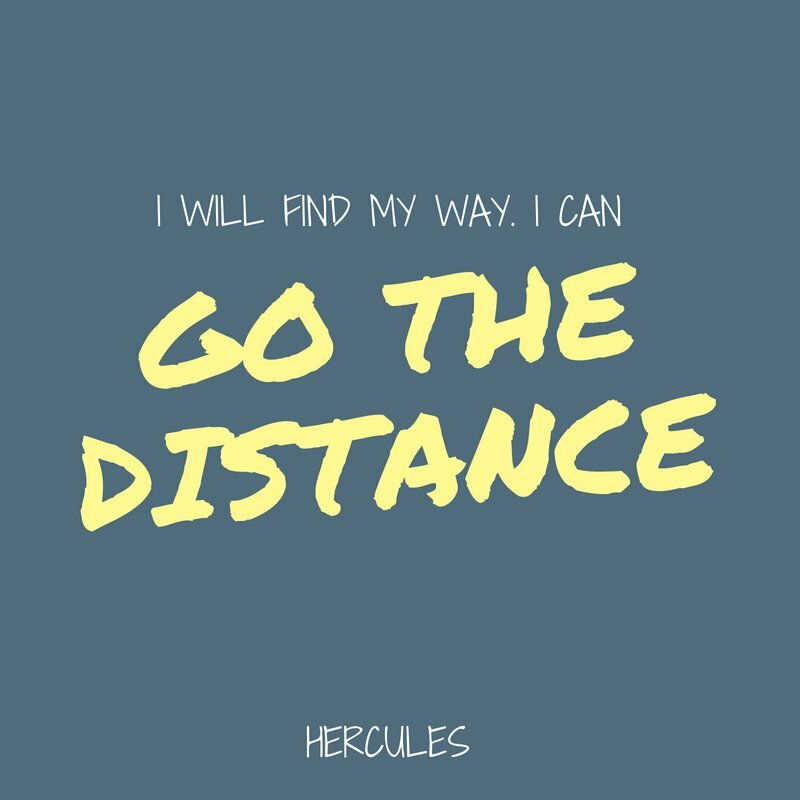 Hercules goes the distance, all the way to the underworld in fact to save Meg. But it’s only after he is willing to lose his ego that he learns what being a true hero is. We love change! But do we really? Sure everyone gets restless… and change is natural, but man do we like permanency! We like knowing that job is gonna be there, that person is gonna be there, that our favorite show will continue to be on for 20 seasons. But, nothing in nature is permanent, so why do we expect our lives to be? Once you accept that change is healthy and natural, you’ll be able to see more clearly the things, beliefs, people you’ve been hanging onto so tightly. And make a better choice to decide what you want and what you no longer need. 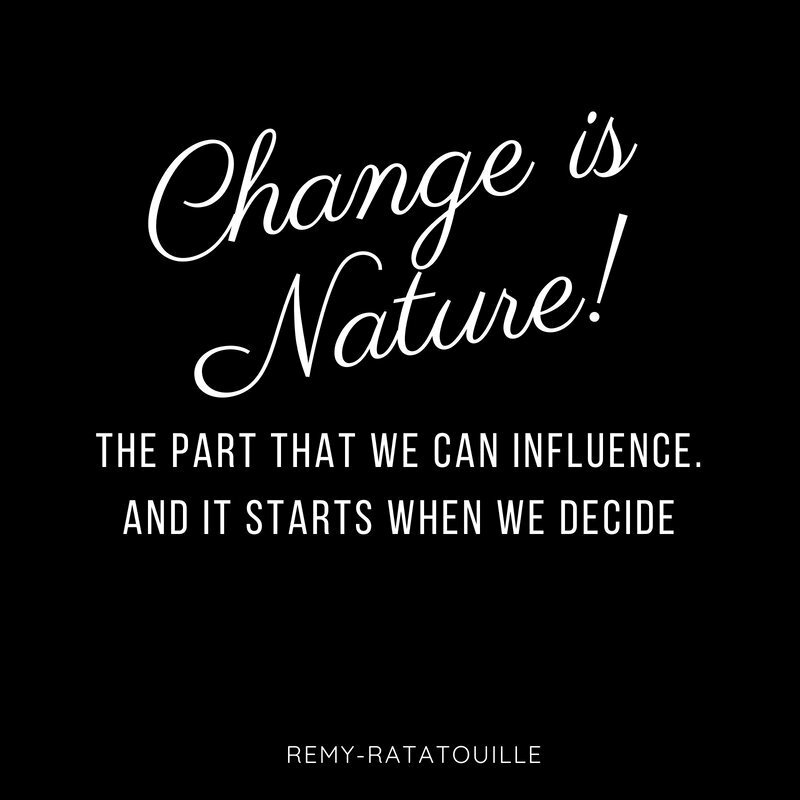 In Ratatouille, Remy challenges the status quo because he knows he needs a change. Even if it’s unheard of, and never been done. These are the changes we like. The ones that are a little scary. You can change your fate. 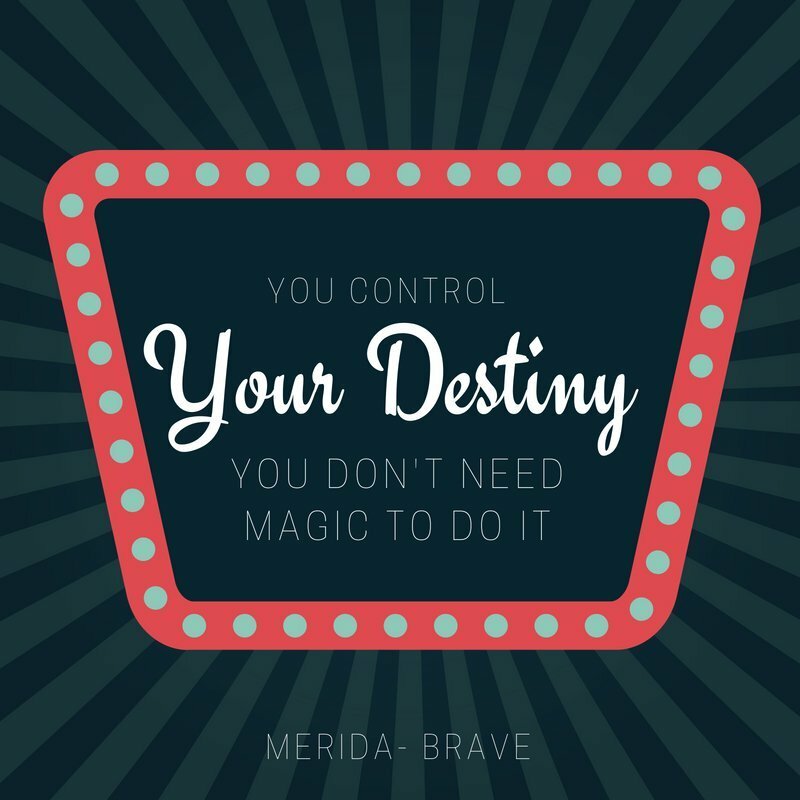 With a simple decision about who you want to be, you can follow in the footsteps of Merida and listen, learn and make the same realization. 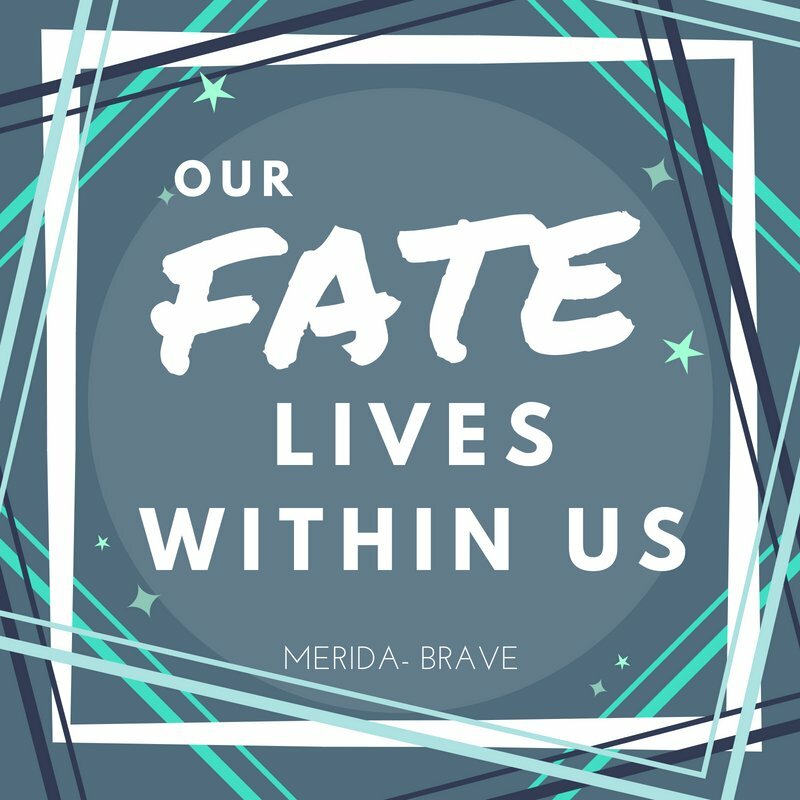 You fate lives within you… if only you are brave enough to see it. And we would also add “listen to it”. You are always guided by the voice inside you. But you have to be quiet enough to hear it. This Winnie the Pooh quote is by far the most empowering quote. Much along the lines of “never believe everything you think”, this quote puts the brain in the passenger seat. Listen to your heart and soul on this one. Where have you been doubting yourself? The Ducktales reboot is everything that is perfect about Disney cartoons. Trials, tribulations, the feelings of family. After Uncle Donald gets to the point where he can no longer keep fighting, keep going on… one of his nephews eggs him on with this quote. How many stupid things have you done so far in your life? Where have you really messed up? Chances are there are times when you get up and keep going. Be inspired by that. 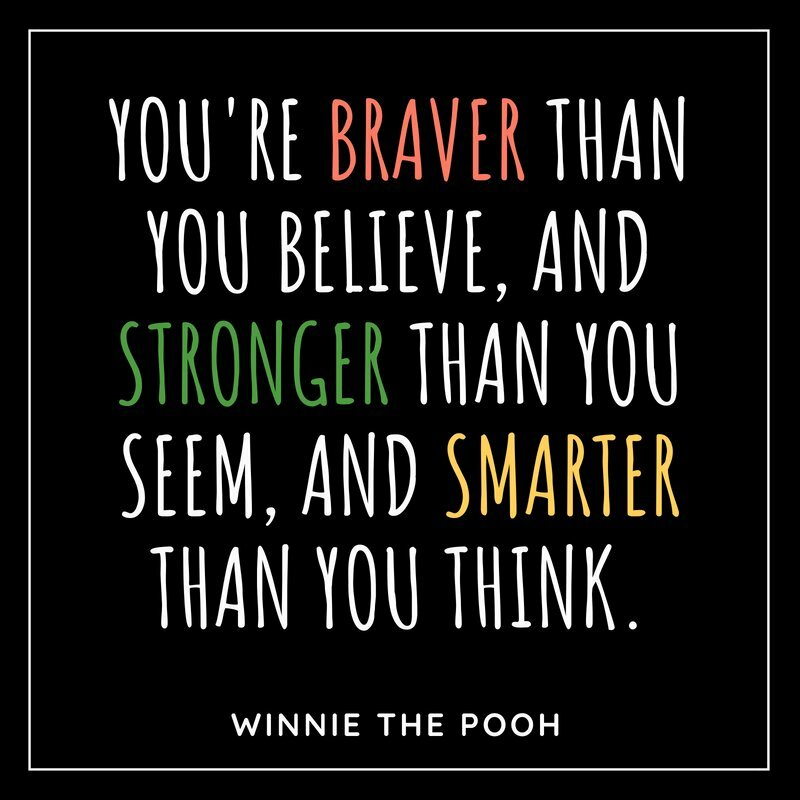 You are stronger, braver and smarter…. 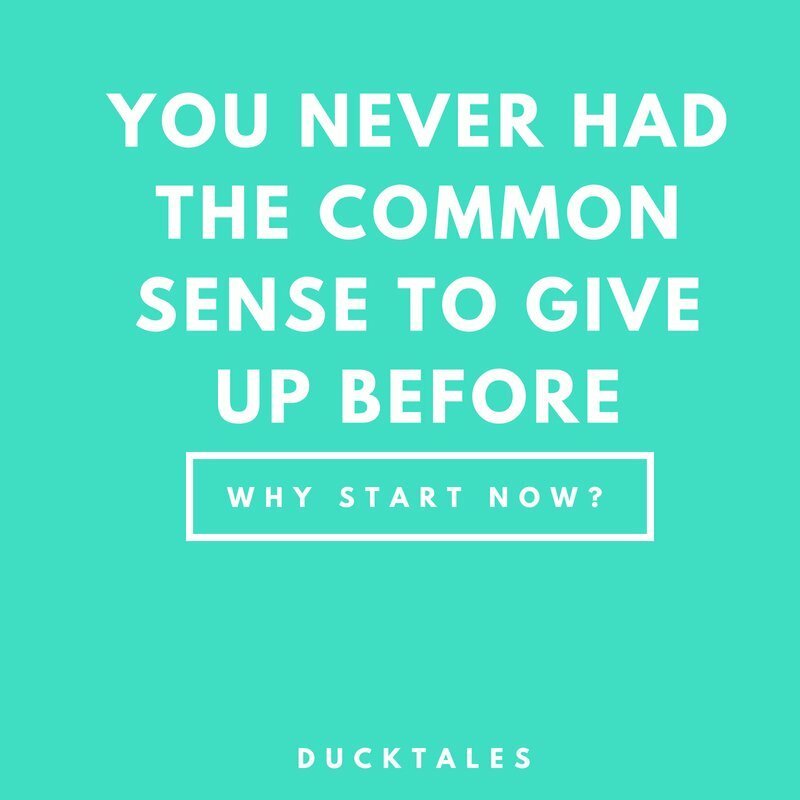 you’ve never had the sense to give up before- why start now? Inspire yourself. 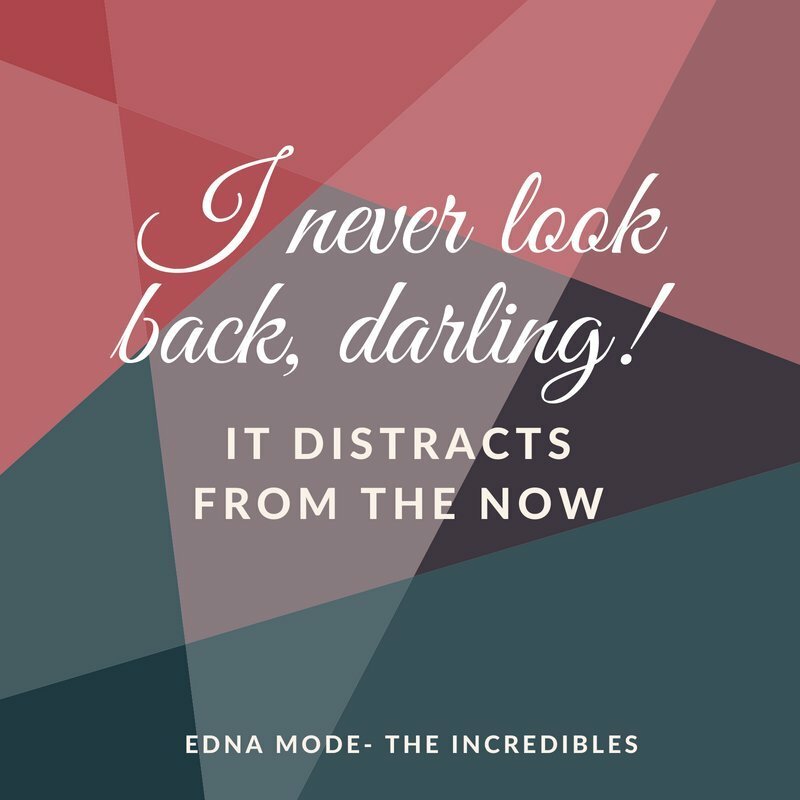 Edna Mode from The Incredibles has the most present mindset we’ve ever seen. Never look back. Be mindful. Be in the now. Stop thinking about what you haven’t done or did do. Just be in the now. It’s incredibly liberating to just feel the feelings, sights, and sounds of this moment. This is by far the best Disney Quote to live by this year. 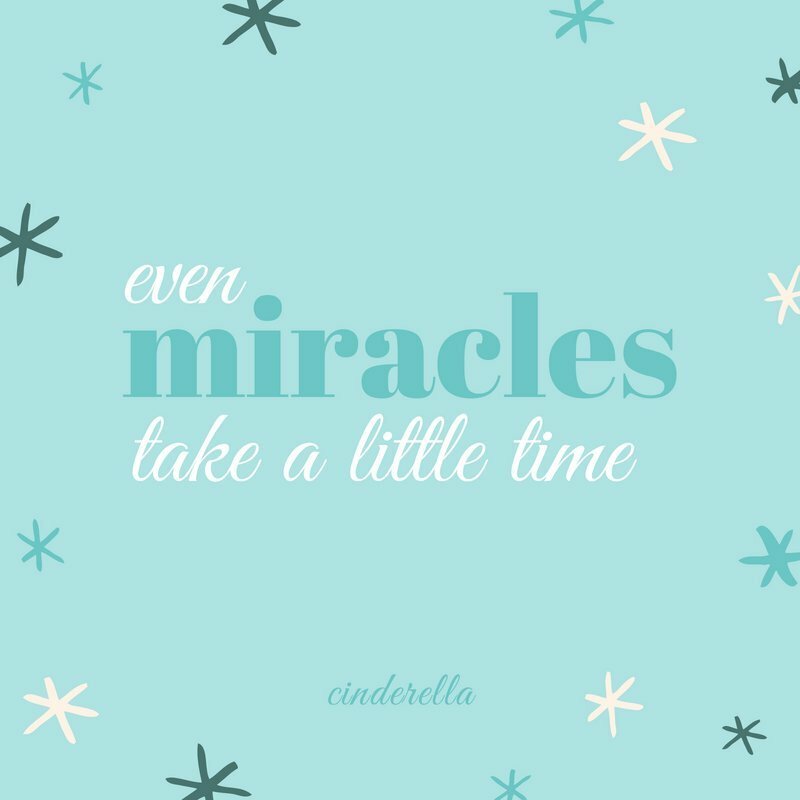 Faith, Trust and Pixie Dust in all you do. Believe the best, trust in others, trust in yourself. Believe in yourself. You have to give yourself a fighting chance for success, and love and wonder and magic. All you need is a little faith, trust and pixie dust. 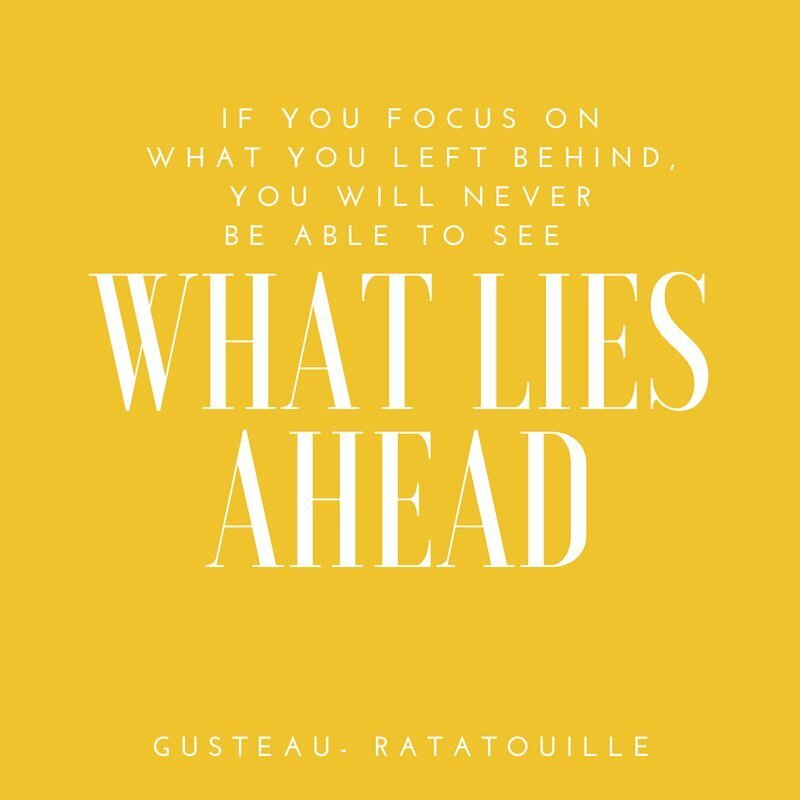 Another showstopper from Ratatouille, this is another perfect New Year quote to get your head on straight. Hopefully you are living your best life in this moment. But if you want more, better or different focus on the good. Don’t trap yourself in what happened before. You can’t change it. Give yourself permission to let it go and focus on something else. Something now. This saavy pirate knows what hes talking about. 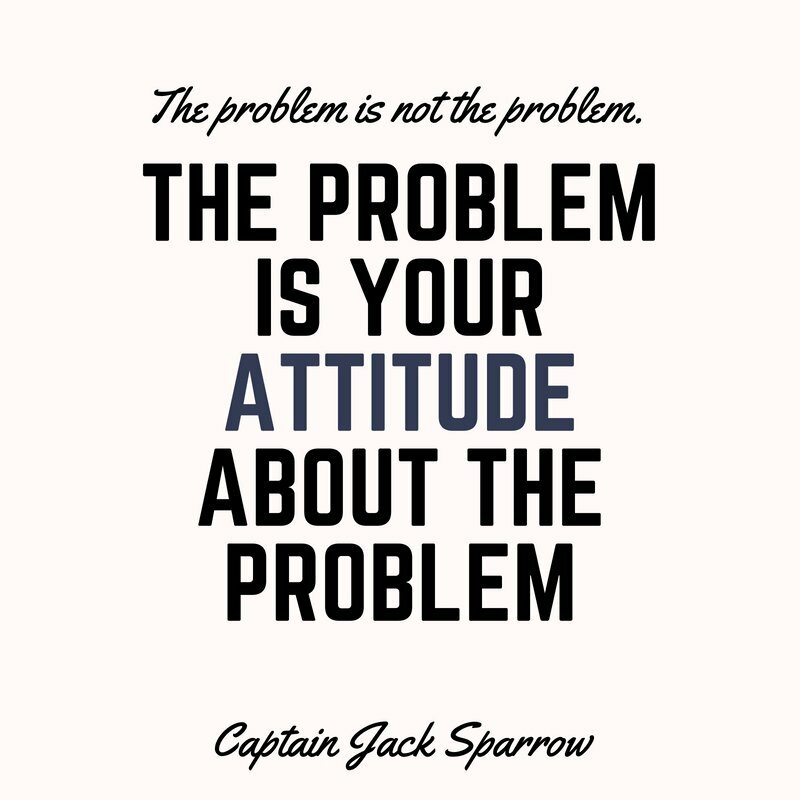 There are no such things as problems. Attitudes, however, or perceptions can make something into a problem at the drop of hat. It’s really just all about how you’re thinking about it. 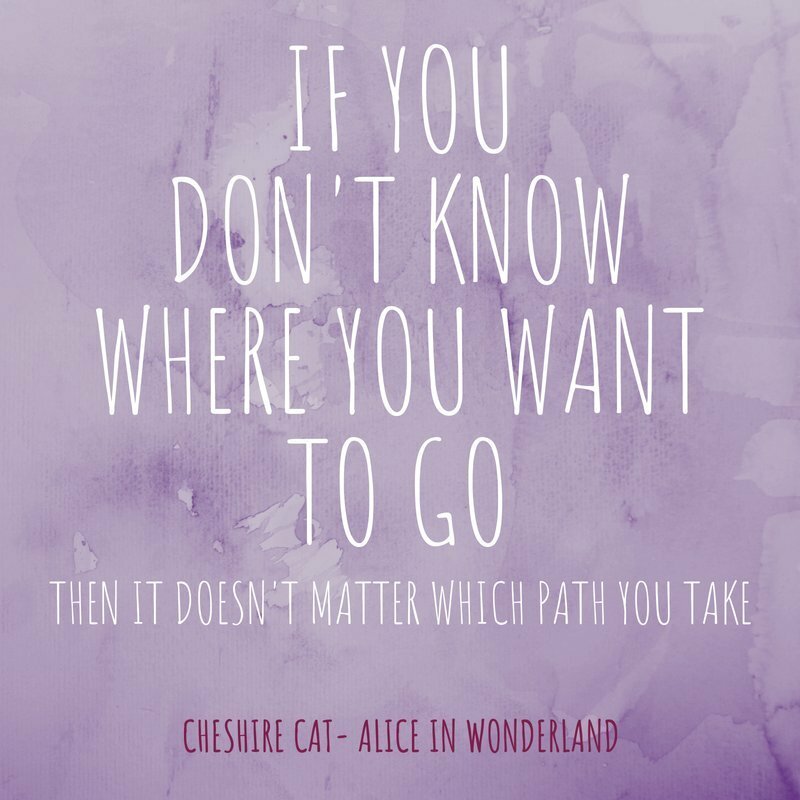 Cheshire may seem a little loopy but man does this cat tell it like it is. If you haven’t already figured out which way you want to go, let this year be the year. You can pick any path you choose, you have a brain in your head and feet in your shoes. But if you don’t decide you’ll spend ages wandering around wondering why you’re not “there” yet. Make a decision about your path, and watch everything in your life support that path. 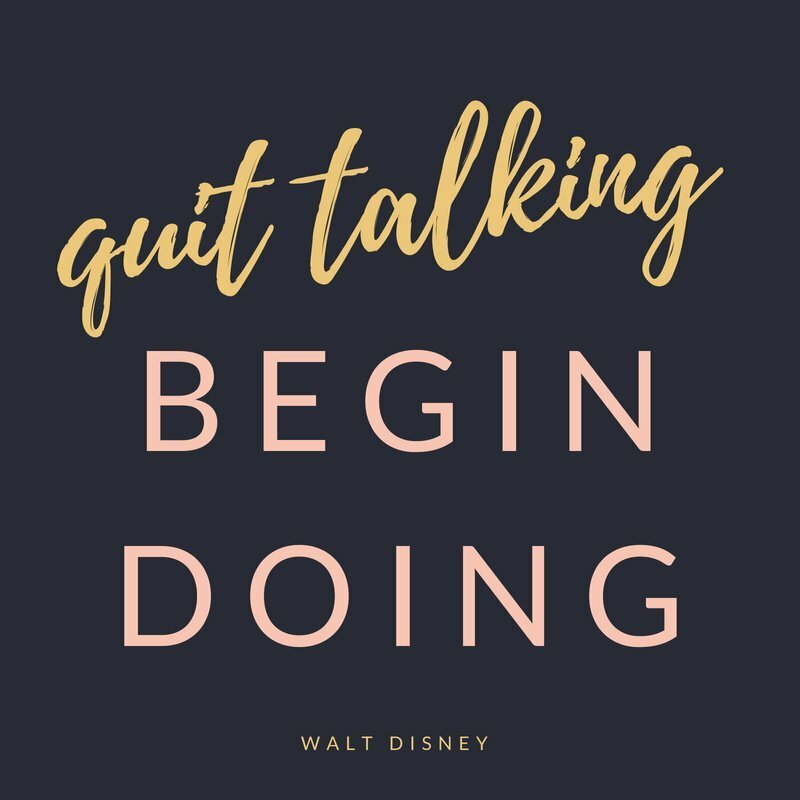 Walt Disney’s strongest quote, in our opinion, is this one. 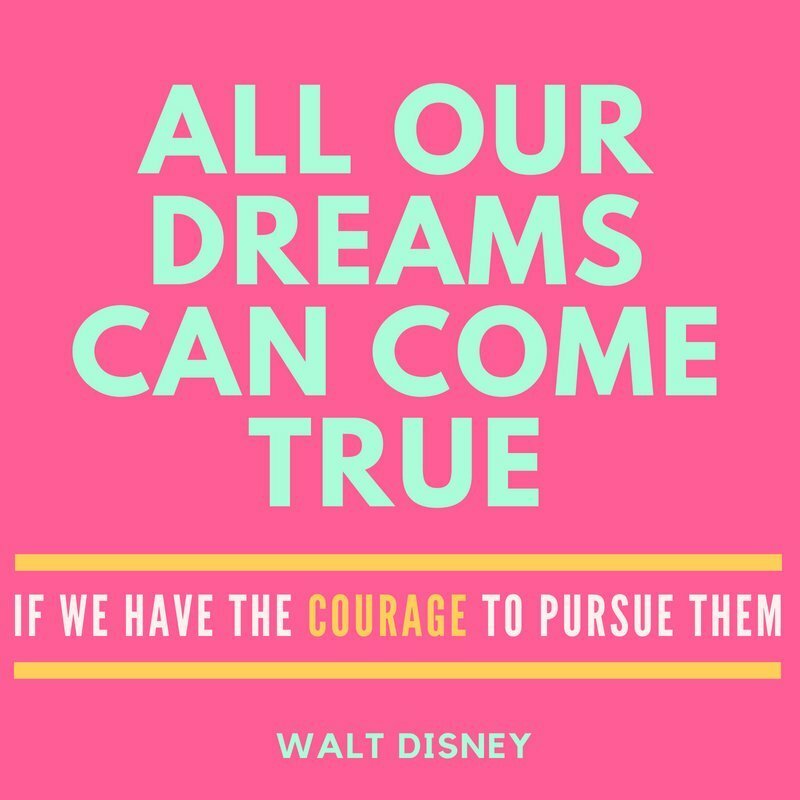 All our dreams can come true, if we have the courage to pursue them. Where are you needing a little more courage this year? Maybe you need to leave a job to do something bigger, maybe you need to move? Maybe you need to say yes or say no more. 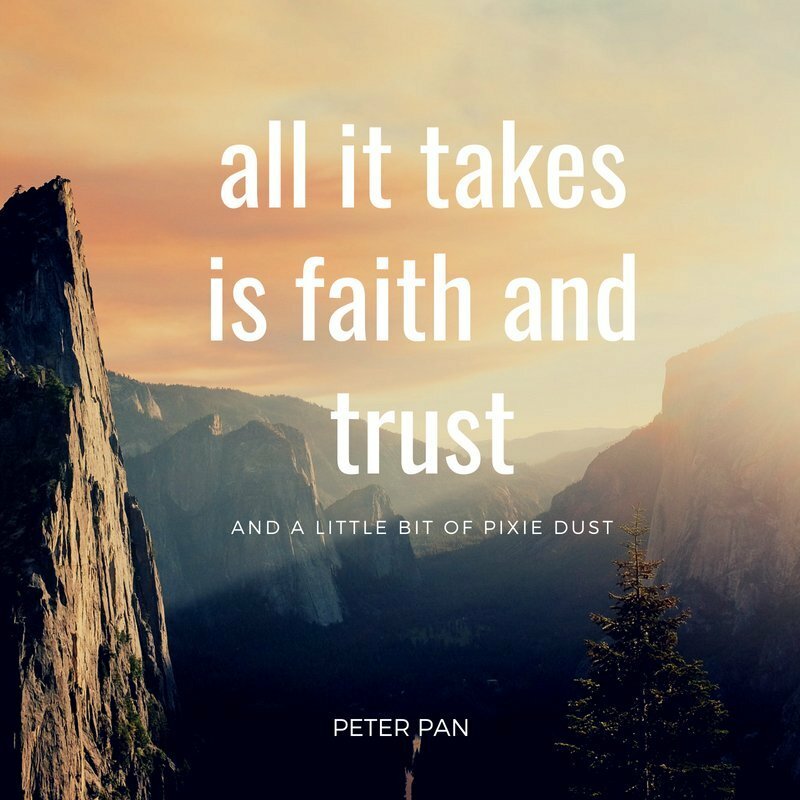 Whatever courage you need to muster… remember Faith, Trust and Pixie Dust. Just Believe. Did you know that your brain carries over more than 80% of what you thought yesterday into your thoughts today? 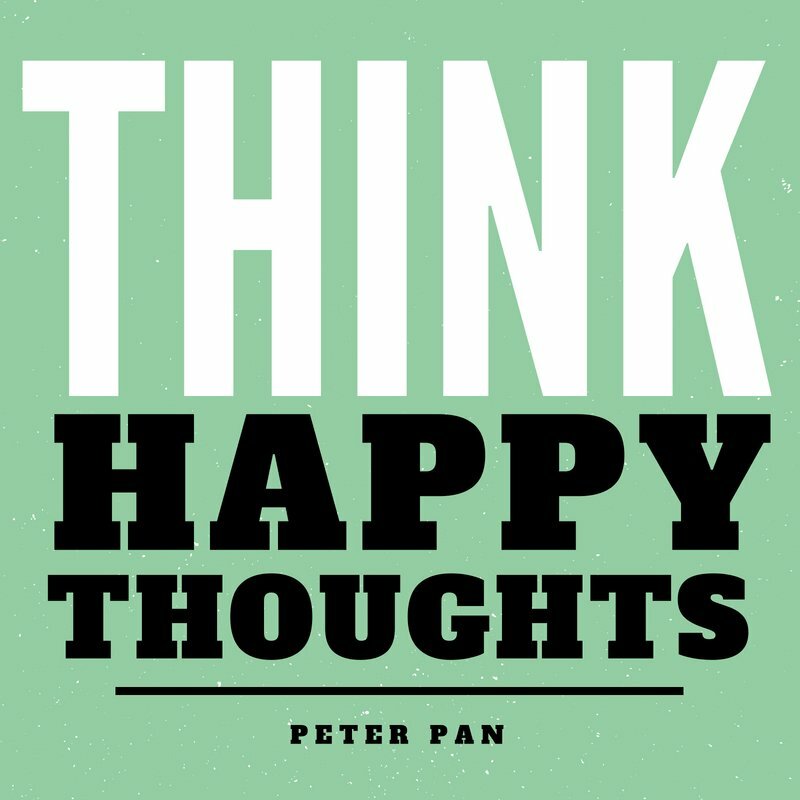 Thinking happy thoughts can get difficult in the wake of socials, news, dismay in our communities and so on. But, that’s why this quote is included, because its worth remembering that you control what you think, and you can think happy. You have at least a good 20% of new thoughts that can all be happy! Start thinking happy more and you’ll be golden. Action is the best remedy for procrastination, weight loss, relationships, everything. When you find yourself in that place of worry, or analysis paralysis, and trying to “figure it out”, realize you’re doing it wrong. Stop thinking. Just get up and do something. Anything. A walk, talk to someone, bake something, write that email, or send that text, address that thing your friend said you can’t stop thinking about. If you’re feeling yucky, thwarted, stuck… action can fix that. Just do it. So, how many times have you felt like you’re just stuck, or in the wrong place or with the wrong person? Hopefully never. 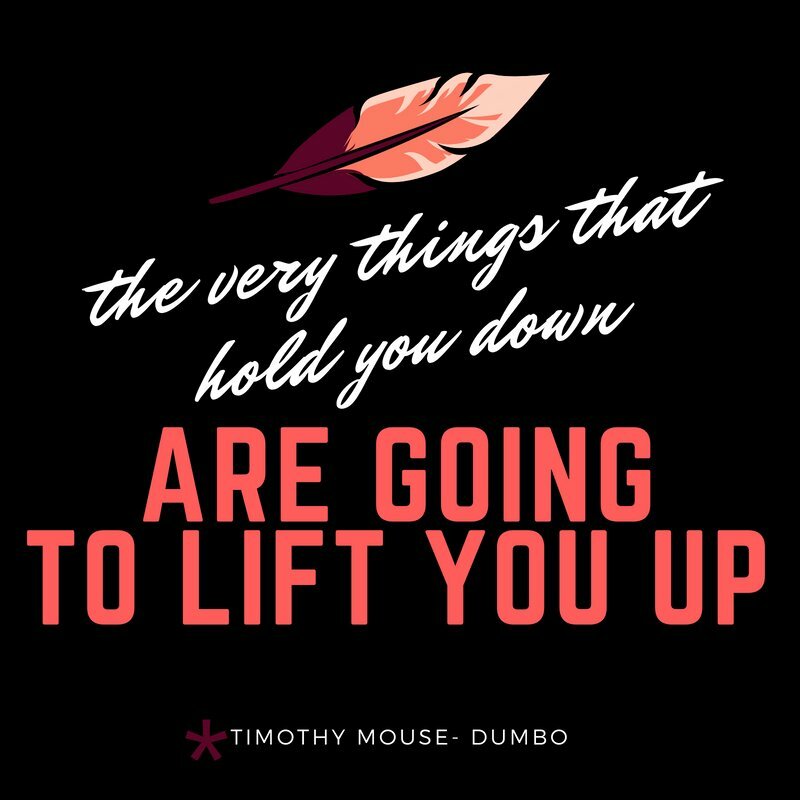 But know that its often the things that frustrate us, that hold us down, that actually spur us into that place where we are our absolute best selves. The place where we are lifted up. The place where we confront the situation, fight for our beliefs, appreciate our families. And become grateful we have a job! Who knew? 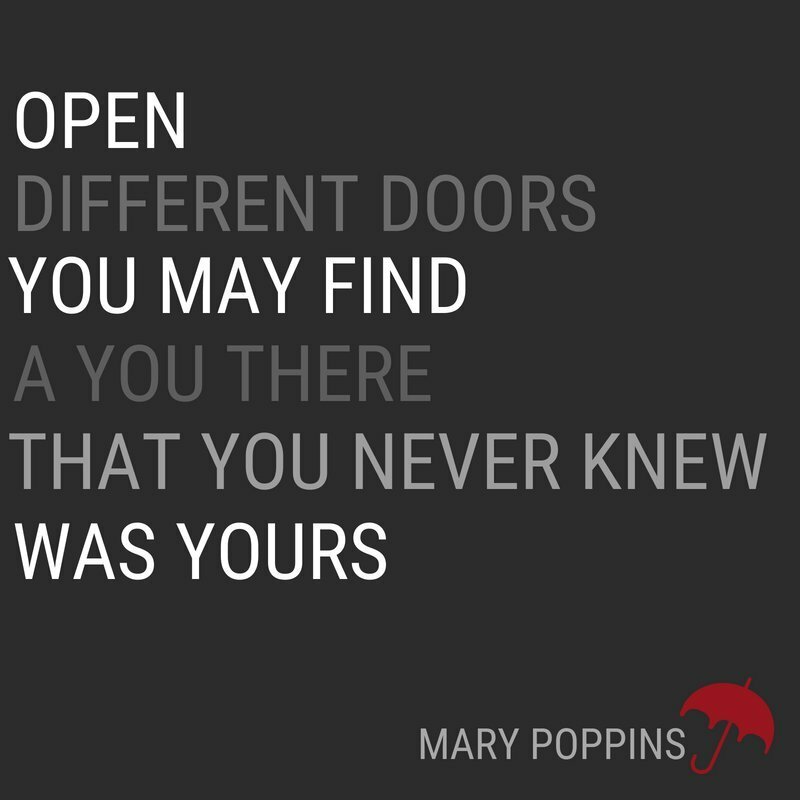 Mary Poppins is the queen of new experiences; on rooftops and ceilings and carousels. Maybe you need a new doorway to walk through this year. You can’t keep doing what you’ve done and expect to get something different. If you’ve spent too long walking through the same doors getting the same thing, try a different door. Now, don’t get us wrong. 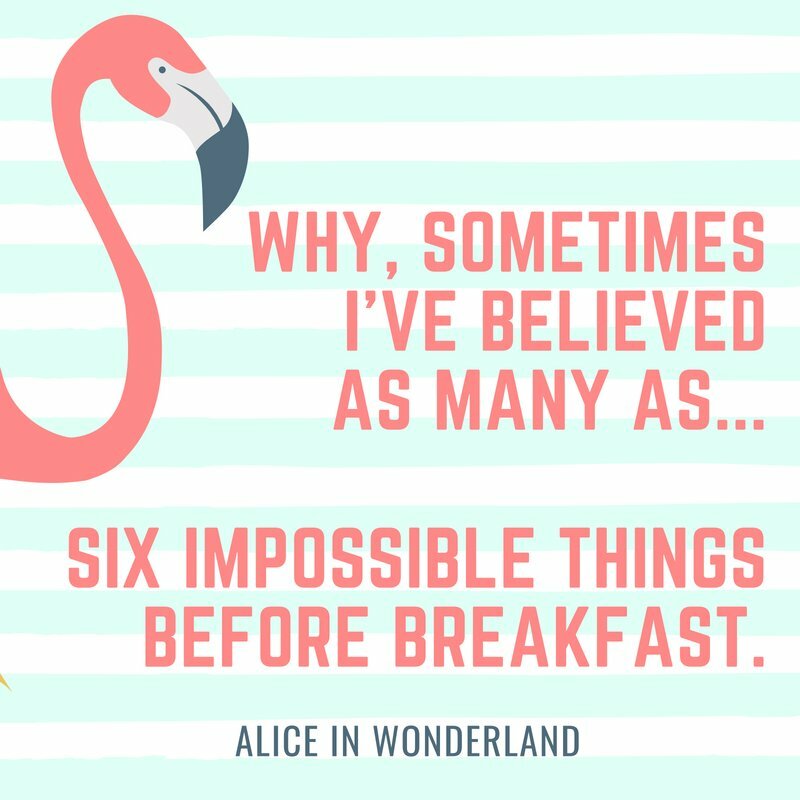 We absolutely believe in magic. It’s fun, mysterious and feels like Walt Disney World. We aren’t however depending on it to chart our life for us. You decide what you want your life to look like. Magic is just a happy additive that will show up because life is magical. Listen, listen, listen. If you haven’t sat down with yourself, take a minute to do so this year. Whether its meditation, some quiet time in the car, or journaling, listen to your conscious. It’s always there, always talking to you. Listen, and see what comes up. 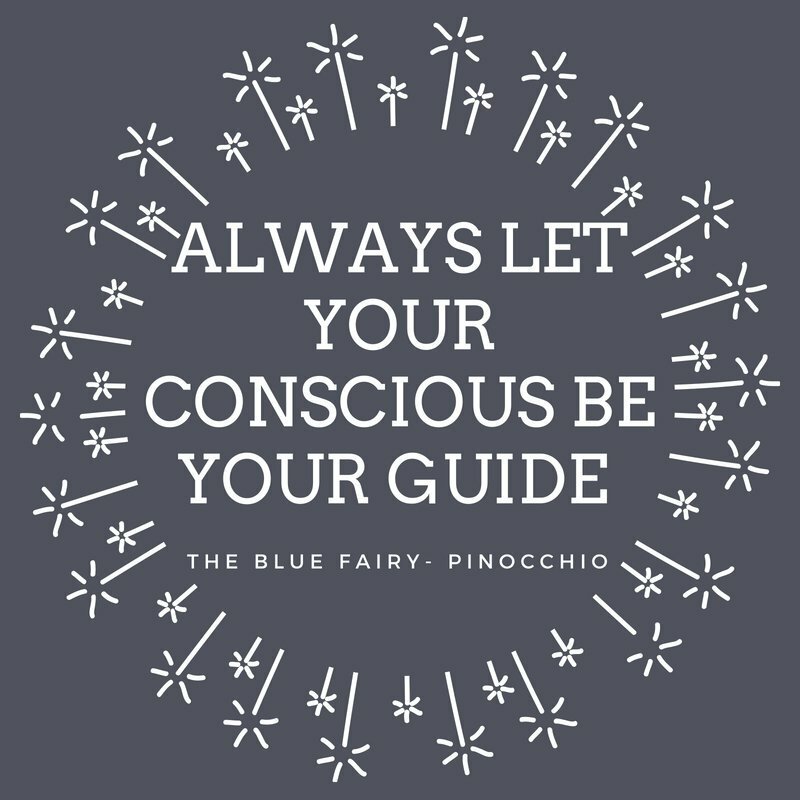 The next step is always easier when you let your conscious be your guide. Just keep swimming. 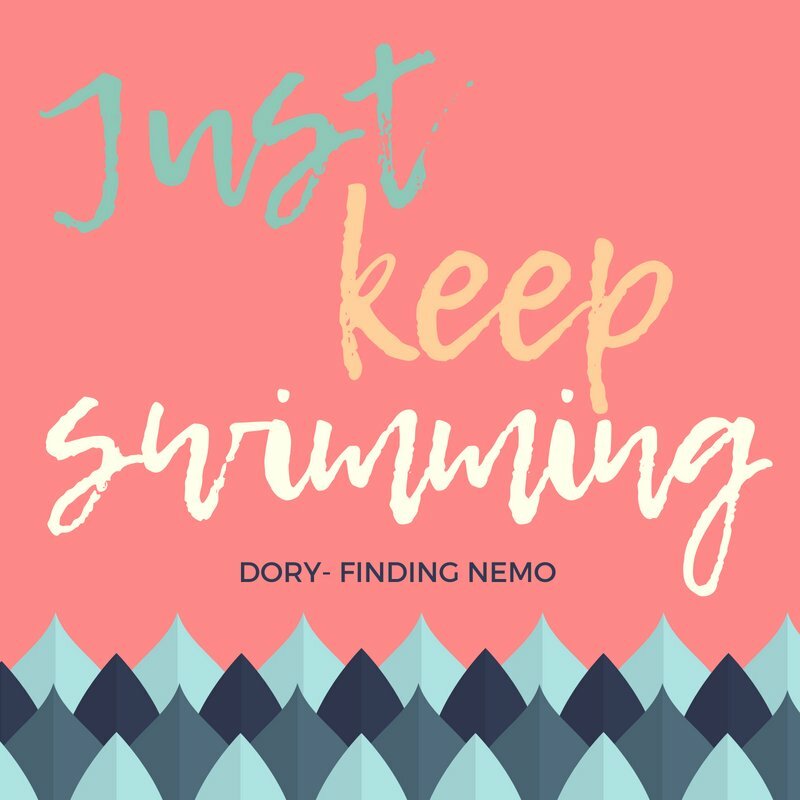 This quote from Finding Nemo can keep you going in the toughest times. Everything is temporary. Bad times included. Change is natural, so if you just keep swimming things will change. Patience is a virtue… but it’s not always readily available. So yes, obviously we want that better job faster, that new house faster, that amazing relationship faster, but everything takes a little time. Even miracles. Look how much crap poor Cinderella had to stomach before miracles finally showed up!!! Not sick humor folks, just good old fashioned life lessons. If miracles showed up as soon as stuff got difficult, they wouldn’t be miracles. Luckily Cinders had a little faith, and some praying during her breakdown at the garden bench, that finally allowed the Fairy Godmother to step in. Surrender, I think, is what its called. This is one of the best quotes to dispel those unnecessary limits you’re probably attaching to things. What do you mean you can’t go on vacation more than once a year? What do you mean you don’t have any other options, choices, etc. Do a quick inventory of all the things in your life you’re just tolerating and come up with 6 alternatives that you could do instead. Pocahontas is the most amazing movie, with so so many lessons. 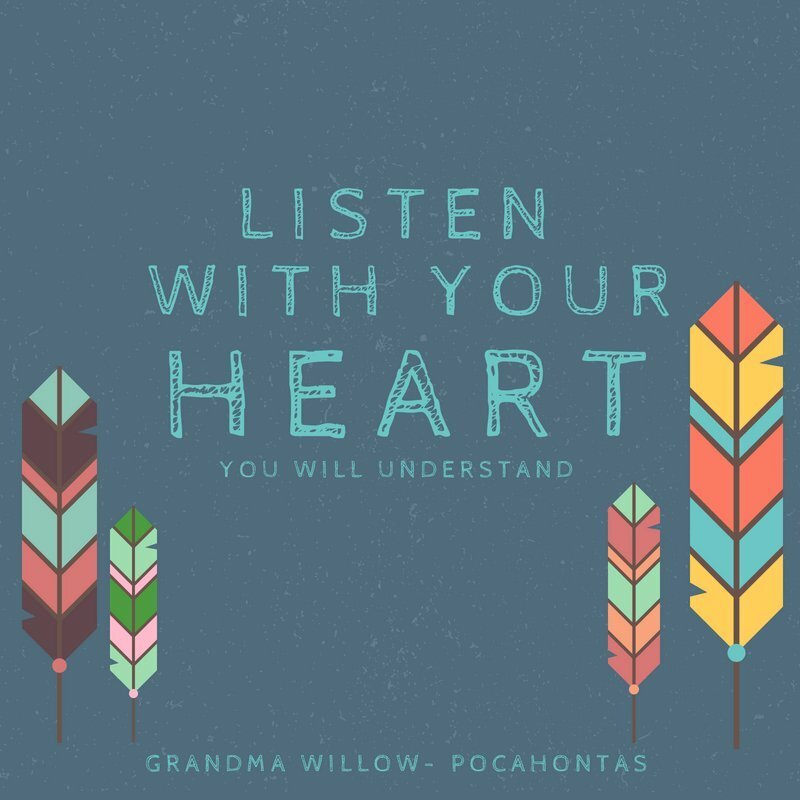 We love this one about listening with your heart. Next time you have to make a decision, as you’re thinking about the solutions see how you are feeling as you think through each one. Your heart knows more than you think. If you’re body isn’t feeling great (with shoulders shrugged or forehead scrunched) it’s the wrong decision. Do what feels best.